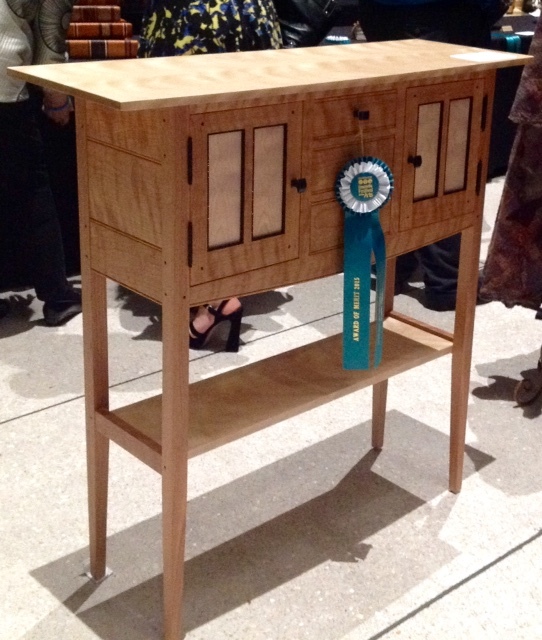 Tom Dumke, a furniture maker from Wisconsin exhibited at the Raymond James Gasparilla Festival of the Arts this past weekend. The Raymond James Gasparilla Festival of the Arts is a premier juried outdoor fine art and fine craft festival featuring national and international award-winning artists in Tampa, Florida. Tom was one of the 37 artists to win an award at this festival; The Bank of Tampa Award of Merit. To view other award winners, click here.